Kristina is very nice and responsive to emails. Great neighborhood and location adjacent to Old City. The apartment is very nice. Should I visit Split again, I would definitely look to stay there. The apartment is well decorated and appears almost brand new! 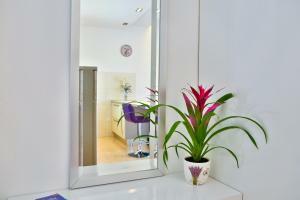 Lovely furniture, comfortable beds, beautifully tiled bathroom, small kitchen area with upscale appliances. The view. Modern amenities . Good AC. Milk coffee tea OJ etc plus the little extras like some fruit and sweets. Nice flower display. Finally Kristina and her charming mother provided a great service. Great host and very responsive! Check-in was very easy and location was great. The amenities were awesome! I would definitely stay here again. Excellent location, beautiful apartment and extremely helpful and friendly hosts. kristina's mum was brilliant and very helpful. The location is very close to the old palace. The apartment was really nice and clean. The host left cherries, Croatian beer, candies, coffee and tea on our arrival. Lovely place to stay! Our stay at ‘Summer Lounge Apartment’s’ was amazing! Myself and my boyfriend stayed for a week and we loved it. The apartment was clean and spacious. The balcony was great which had views of split and the marina. We were met by our host who gave us the keys, and showed us around. The fridge was stocked with water, milk and juice. They had even left us some bread rolls with cold meats and cheese, which was just wanted we needed after our flight. The location was brilliant, everything we needed was within walking distance. Lidl supermarket was 10 minute walk away, and other smaller corner shops were closer. I would 100% recommend this apartment to anyone who stays in split. Thank you Kristina! Such lovely hosts, Kristina and her mother were super friendly and helpful. The apartment is just a short walk right into the centre of town, and it’s nice and quiet at night. Parking is a little challenging, but we managed well enough and on the whole, enjoyed our stay! Definitely would recommend staying if you’re looking for something close to the city but a little quieter. Lock in a great price for Summer Lounge Apartments – rated 9.6 by recent guests! Summer Lounge Apartments This rating is a reflection of how the property compares to the industry standard when it comes to price, facilities and services available. It's based on a self-evaluation by the property. Use this rating to help choose your stay! 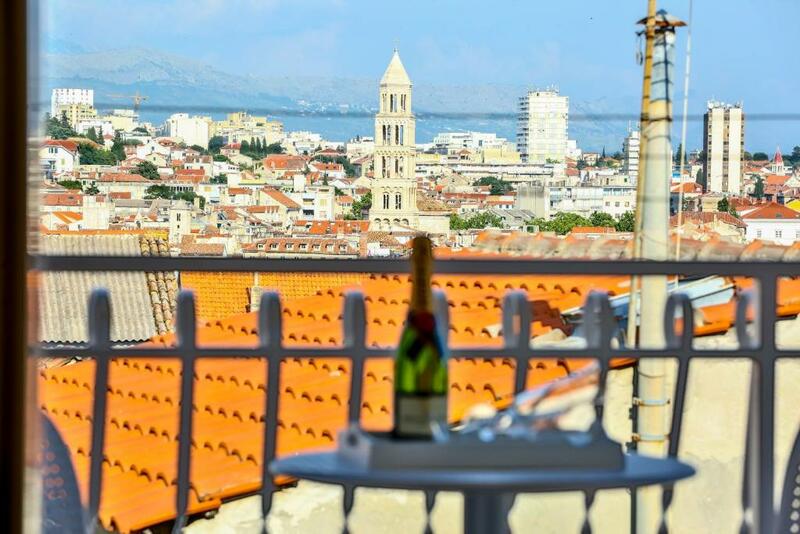 One of our top picks in Split.Located in the Split City Centre of Split, Summer Lounge Apartments provides accommodations with free WiFi and a kitchen. All units feature air conditioning and a cable flat-screen TV. A fridge and electric tea pot are also provided. Diocletian's Palace is 2.2 miles from the apartment, while Znjan Beach is 3.5 miles from the property. 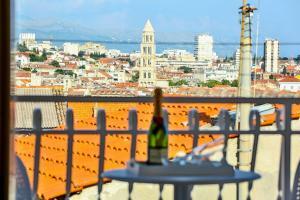 The nearest airport is Split Airport, 16 miles from Summer Lounge Apartments. This property is also rated for the best value in Split! Guests are getting more for their money when compared to other properties in this city. 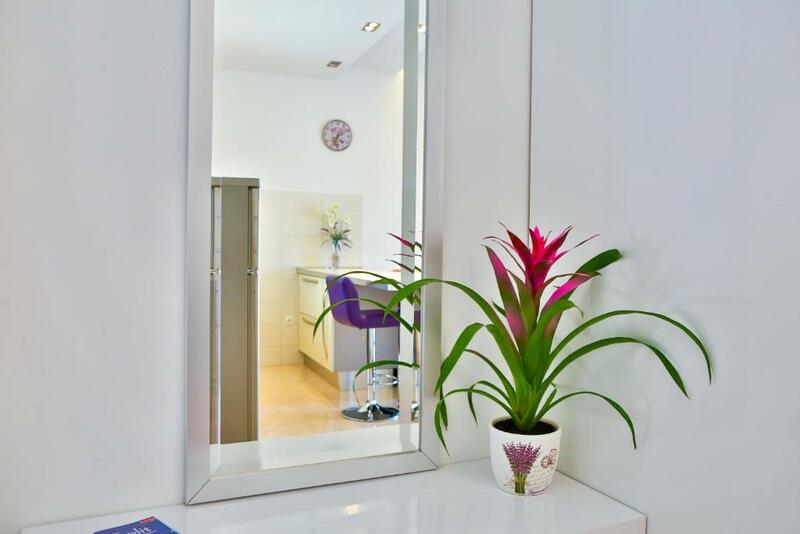 뀐 Located in the real heart of Split, this property has an excellent location score of 9.4! When would you like to stay at Summer Lounge Apartments? This studio features a tea/coffee maker, stovetop and seating area. This studio has a tea/coffee maker, microwave and air conditioning. Summer Lounge Apartments offer three modern 4-star studio apartments situated in an old stone house, originally dating from 19th century, located in the heart of Split, just below Marjan Forest Park. This perfect location offers you relaxed accommodation awakening to sounds of chirping of birds with large nature park practically as a backyard, and on the other hand you are just few steps away from Split’s main promenade Riva, world-known UNESCO protected Diocletian's Palace, many restaurants, bars and shops, so everything you will want to see in Split is less than 5 minutes away. Summer Lounge Apartments have three 4-star studio apartments which can be booked for up to 6 persons. 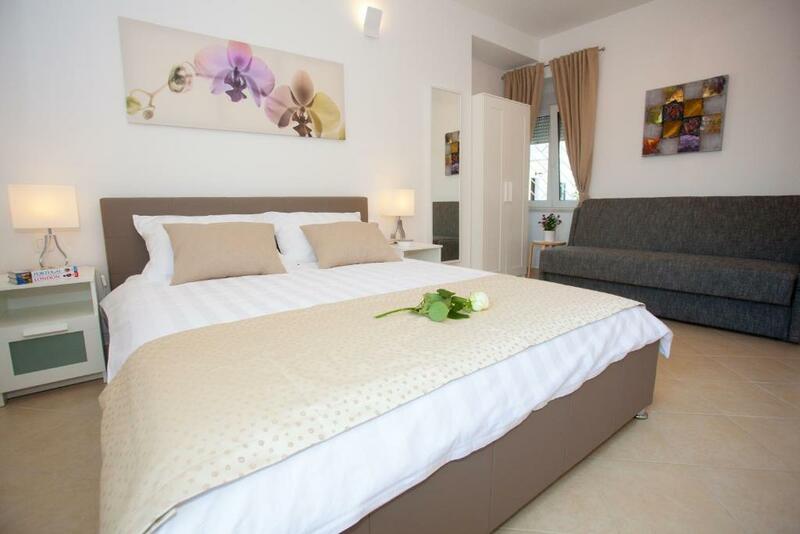 Each of the studio apartments can be booked separately. If you would like to book more than one apartment please do contact us. 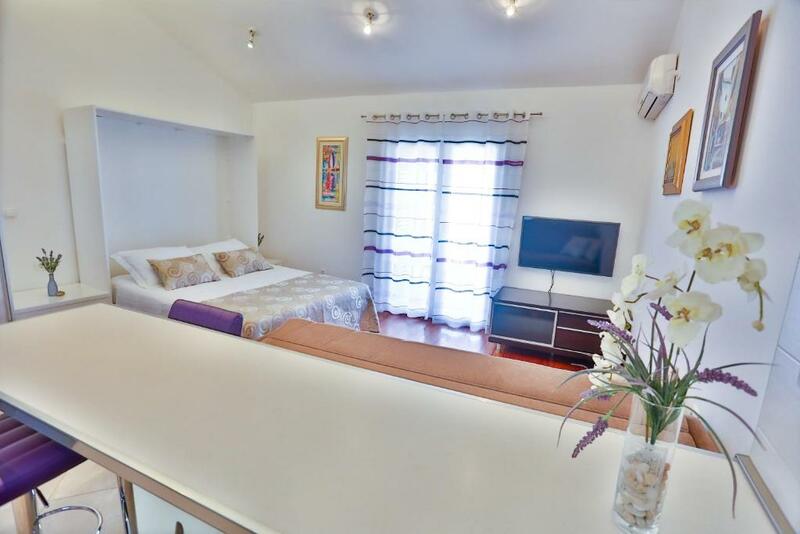 Deluxe Studio Apartment and Apartment with balcony, situated on the second and third floor, offer king size bed and comfortable sofa bed for you to lounge and enjoy watching many satellite programs and being updated with worldwide news. Free WIFI will keep you connected with all your friends and family. Fully equipped kitchen, and of course bed linen and quality towels are provided. It is a perfect accommodation for to 2 persons, but can accommodate up to 4 persons if needed. 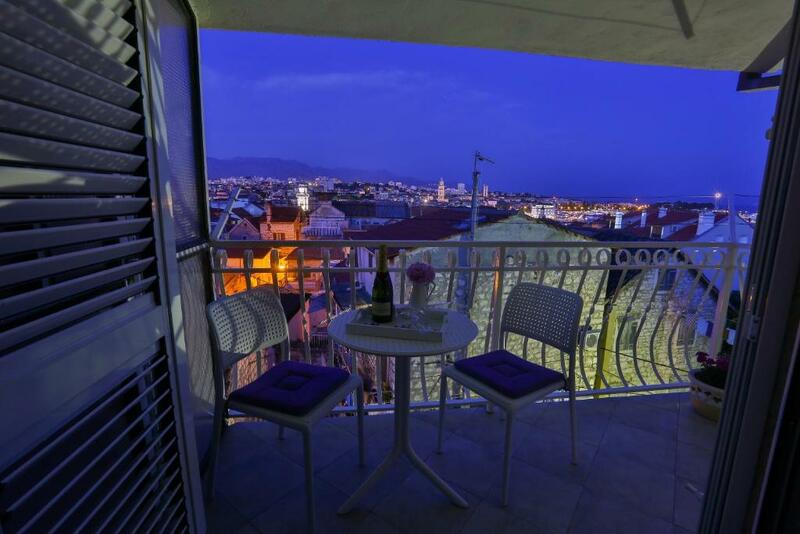 Apartment with balcony offers you breath-taking view of Split, sea and surrounding islands, it will be your perfect oasis for relaxing after exploring the city. Studio apartment, situated on the first floor, is more suitable for solo travelers or young couples, and offers double bed (140 cm wide), comfortable sofa for you to lounge and enjoy watching many satellite programs and being updated with worldwide news. Free WIFI will keep you connected with all your friends and family. Fully equipped kitchen including microwave oven and electric kettle, and of course bed linen and quality towels are provided. It is a perfect accommodation for up to 2 persons. Marjan Forest Park is called „lungs of Split“, it is a place where citizens come for a walk, a morning jog, a swim, a bike-ride or simply an extended history lesson as you pass many ancient chapels. It is actually the same size as Central Park in New York; quite cool for such a "small" city like Split, so the discoveries are endless. Since Marjan is a peninsula, many beautiful beaches are within 10-minute walk, with many private spots in the shadows of pine trees. Ten minutes' walk will take you to the main bus station where you can take bus to explore scenic towns of Trogir, Makarska, Solin and Omiš. Next to the main bus stations is the ferry port where you can take a boat or a ferry to explore the imposing Dalmatian islands. 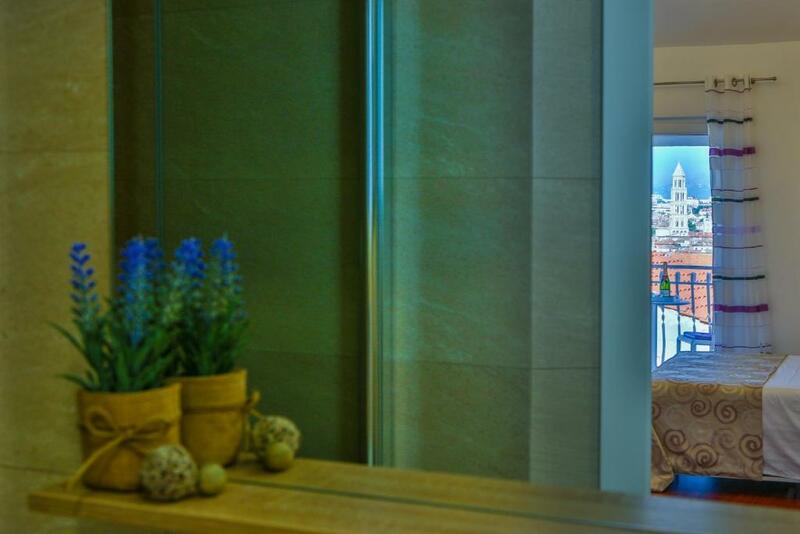 Summer Lounge Apartments are the best starting point to discover Split and beauty of Dalmatian coast! We look forward to welcoming you!! House Rules Summer Lounge Apartments takes special requests – add in the next step! Please inform Summer Lounge Apartments of your expected arrival time in advance. You can use the Special Requests box when booking, or contact the property directly using the contact details in your confirmation. One of the most picturesque neighborhoods in Split! Great location in the old part of Split. Apartment really nicely presented and spotless. Some nice little touches like a bowel of fruit ,some sweets and drinks in the fridge.Kristina is clearly very focused on customer service and responsive to any communication. We had two apartments, the deluxe and studio, both were clean, in a great location with everything you would need. Highly recommend. Great value too. The apartment was lovely (clean, spacious, comfortable), and the balcony had a beautiful view - wonderful place to sit and eat breakfast. There were fruits, sweets, fruit juices, beers, milk and hot drinks available. The host was very friendly. Nothing. Just wish the host could provide a microwave in there. Location of the property, views from the balcony, very friendly & helpful host, cleanliness of the property. Parking in the narrow streets was stressful in a hire car so we needed help from the host. Extremely helpful and accomodating hosts who provided tips on where to park our car and finding a laundrette.The apartment was spotlessly clean and had everything we needed for a comfortable 4 day stay. Best of all were the thoughtful extras like cool drinks, fruit and biscuits in the kitchen and little bathroom extras like tissues etc. The hosts have really considered their guests’ needs. The apartment was very clean, quite close to main street. Seems like everything was new. The space was large enough to stay for two person. And there was everything we need. Really liked this apartment. There was nothing to dislike at all. We liked the warm friendly welcome from Kristina's mum and the treats supplied for us which was very kind in deed. The apartment was spotless,not to far from all the main attractions and a gem to stay at. I loved everything! The location would make parking difficult but also is part of the extraordinary charm. Absolutely loved our stay here, the lady who met us for check in was so lovely, we arrived really early in the morning but they kept our luggage for us until the other people had checked out of the apartment. They just sent us a text when the room was ready. There was a lovely full kitchen, a very modern bathroom and comfy double bed, the view from the apartment was beautiful and the balcony was lovely too. Everything was very clean and it felt like a home from home. It is in the middle of a hill so is a bit of a climb to get to it but nothing major and so worth it for the view. I would definitely stay again and highly recommend!